After generating a heated statewide debate earlier this year, the Texas bathroom bill died in the special legislative session with little drama or fanfare. Gov. Greg Abbott was eventually forced to call a 30-day special session that revived the bathroom bill. But for all the bathroom-related commotion and cajoling that dominated the regular legislative session, when lawmakers wrapped up the special session on Tuesday, Patrick eulogized the bathroom bill as just one of several proposals that didn’t make it to Abbott's desk because of Straus. Opponents had been anxiously watching the clock tick down on the 30 days lawmakers were allotted to pass Abbott's 20-item agenda. With the national debate over North Carolina's bathroom still lingering, he was backed up by top business executives, including the heads of dozens of Fortune 500 companies, who worried that Texas could invite the same economic blows the Tar Heel State faced after passing a similar bill, including canceled corporate expansions and sports tournaments. 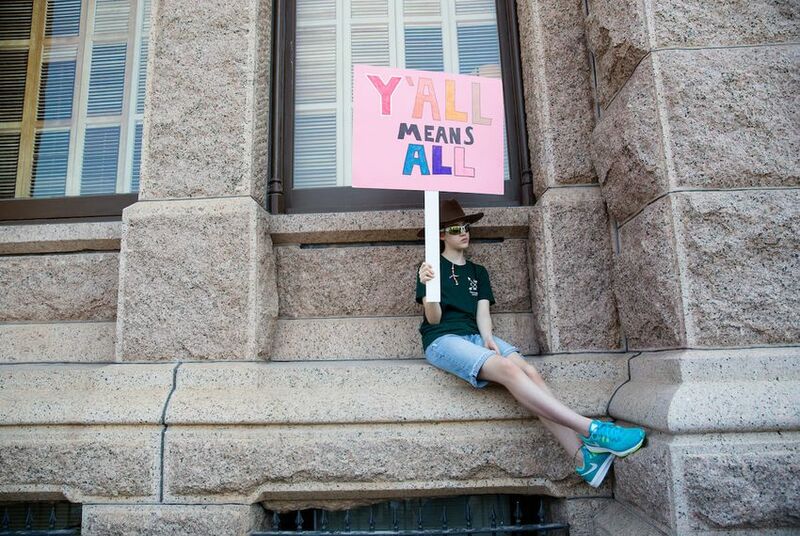 By last week, proponents were already conceding that Texas wouldn’t pass a bathroom bill. Republican state Rep. Ron Simmons of Carrollton, the legislation's author, on Monday acknowledged that he had not recently talked about his proposals with the governor. Abbott's office did not respond to a request for comment on the bathroom bill’s demise. Abbott has yet to rule out a second special session, but he did acknowledge during a Wednesday morning interview that “there’s no evidence whatsoever" that Straus will be swayed on the issue. For his part, the speaker has so far only put out a short statement marking the end of the special session that focused on the House’s work to pass legislation “that was in the best interest of all Texans.” It didn't mention the bathroom bill.